How do I judge if the price of a solar panel is worth it? Ask your friends how much they paid for their solar systems. The warranty must last for around 25 years. Search for test and wind certification. Consider how much space you have on your roof. The less space you have, the more efficient the panel you buy must be. Thus, you may have to pay more. The inverter must be efficient. There are many homes and buildings that use solar panels in the Philippines. The price for these systems is worth it when you can harness the powerful energy of the sun and turn it into electricity for, say, your air conditioner. Talk about turning the tables around! However, it’s important that you know the just price of a solar panel in the country. That way, you won’t let the heat cloud your judgment when you’re buying a solar system. If you’re not sure how judge the price of solar panels in the Philippines, then keep these following guidelines in mind when you start canvassing. This one is a very simple tip: you can simply ask your friends who have solar systems installed. They have gone through the rigorous process that you will be doing through and they would know the just price of a solar panel. Philippine residents can definitely use this tip because the climate has already prompted many to install their own solar system. With any big investment that promises it will last a long time – such as a solar panel – you need a guarantee that this will be seen through. This comes in the form of a warranty. For solar panels and systems, this should last for roughly around 25 years. But you must also keep in mind that for a warranty to be honored, the manufacturer must still be operating. Thus, you shouldn’t buy a solar panel if its manufacturer has gone out of business or it doesn’t have a good track record. Solar panels are tested in different ways. If they pass these certain tests, then these panels also get certain certifications. Look out for these certifications so you know exactly what tests a panel has passed. This is important because some are thorougly tested by a third party while some are just self-assessments. An example of the former is a TUV IEC 61215 certification, which indicates that an independent laboratory has tested the panel and it has passed their specifics. Look for these kinds of assurance to gauge whether the solar panel you wish to buy is reliable or not. This is very important when deciding what type of panel to buy. The smaller space there is on your roof, then the panel will also have to be smaller. 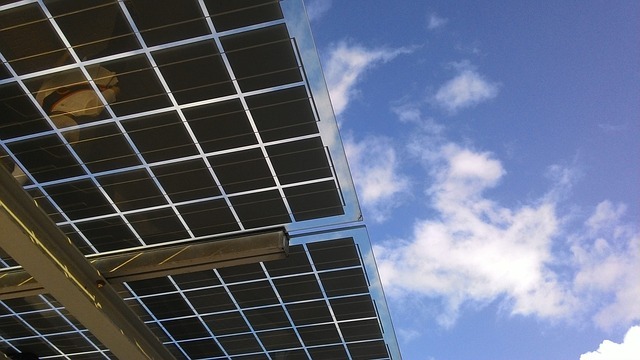 At the same time, it has to perform better than regular panels to be able to provide your home with power. Thus, you may have to spend more for such a unit. Even with a big roof, you have to consider the pros and cons of buying many inefficient panels versus a few efficient ones. Another certification you need to look at is the wind certification, especially you live in an area with many strong gusts. The panels with this proven assurance have mounting systems that are built to withstand cyclones. This will certainly be worth the price of the solar panel since the Philippines is prone to storms. Finally, you need to check the inverter. Basically, this is the device that converts the energy from the panel into usable electricity. Thus, this absolutely has to be efficient so you can quickly get your investment back. The truth is, the price of solar panels in the Philippines – or anywhere else – will be… well, pricey. After all, you will be investing in a complicated system that will save you tons of money in the future. What you need to look for is the solar panel that will return your investments back to you quickly, so you need to find that ones that are efficient and reliable. Follow the guidelines above and you surely will.